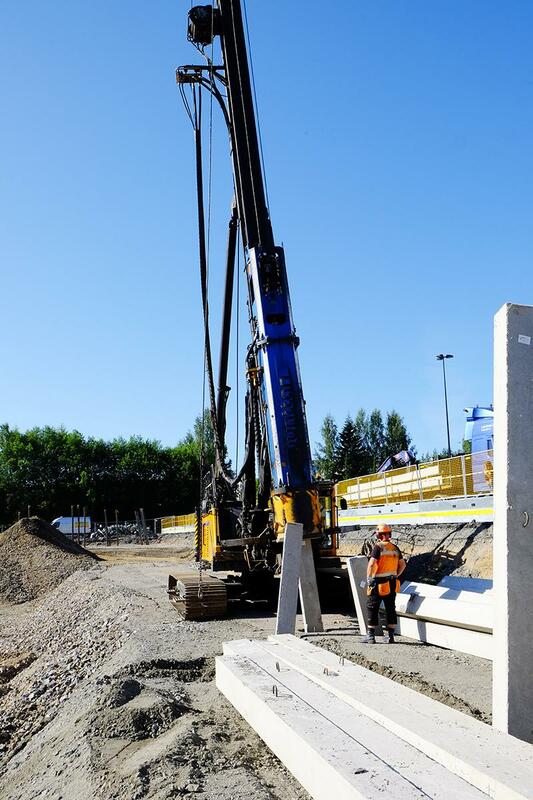 Kuopion Portti is on-going big construction project in the city center of Kuopio. The 50 000 sqm project consist of buildings which will house travel center as well as offices, shops, health and care -centers, and apartments. The pile installation work for stage-1 is done by Niskasen Maansiirto Oy using their Junttan PMx22 pile driver with SHK5 hydraulic hammer. 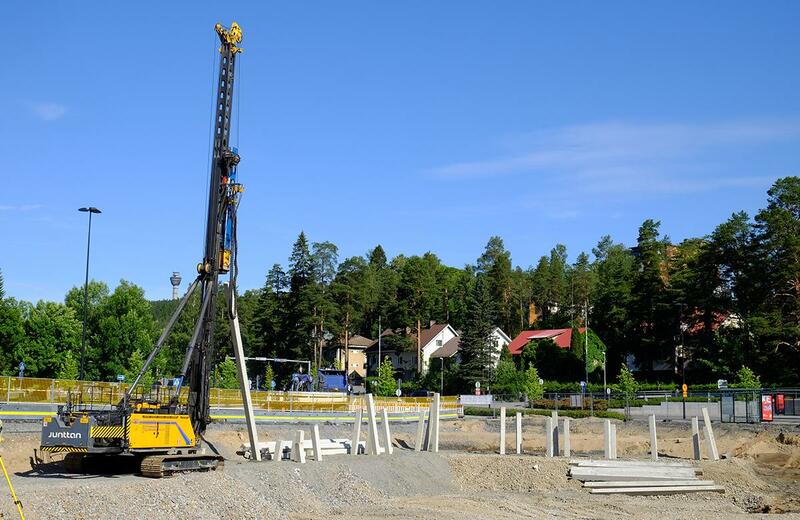 They are piling 167 points of 300 mm square two-sections concrete piles, with average length of 21 meters, all together 3 500 linear meter. 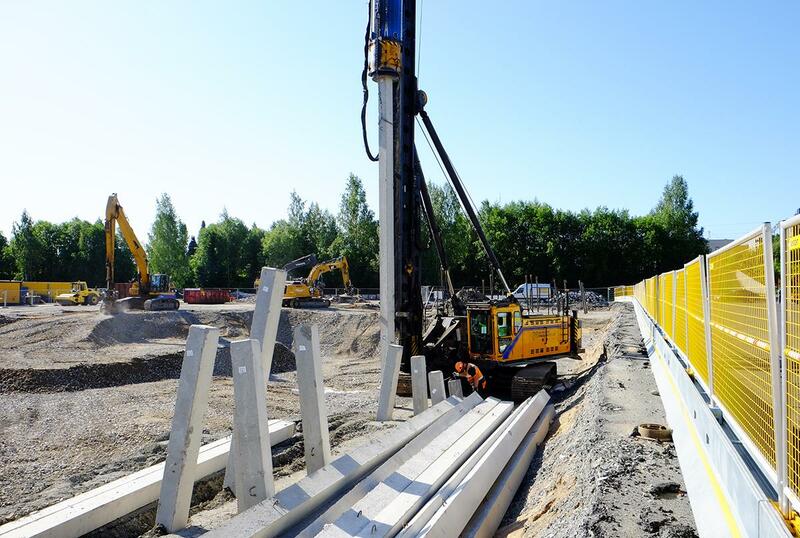 In addition, 177 points of RR170/10 tubular two-sections steel piles will be driven, with average length of 23,3 meters, all together 4200 linear meters. Niskasen Maansiirto Oy’s professional team consist of Mr. Jarno Kalajanniska, Project Supervisor, Mr. Heikki Päivärinta, Rig Operator, and Mr. Hannu Laukkanen, Banksman.